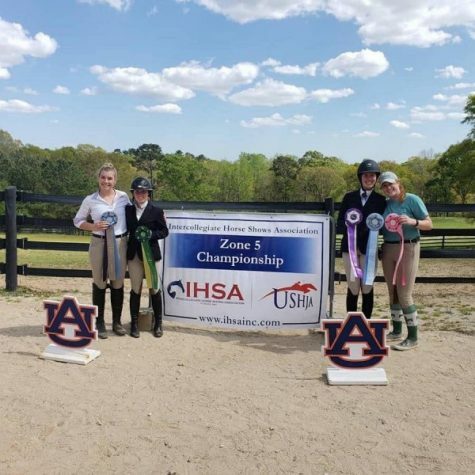 Four members of the equestrian club qualified to compete at the recent Zone finals competition. When it comes to horseback riding, few people are truly brave enough to commit to the sport. Regardless of a rider’s experience, a single fall can be catastrophic, breaking bones and even causing brain trauma. Members of the Tulane equestrian club, however, possess the courage needed to ride and appreciate the stunning logic of this sport. “It’s really amazing when you think about it, that these 1200-pound creatures are docile and kind and gentle enough to allow us to ride them,” junior Katie Mannina said. The team uses horses owned by City Park, and while all participants must pay for the lessons required to use these animals, riders are only expected to bring long pants and boots. Any level of experience is welcome at these practices. Those who wish to compete, however, do so through the Intercollegiate Horse Show Association. Students who chose to participate in IHSA events are not responsible for bringing their own horses. Instead, competitors draw a number that corresponds to a particular horse owned by the host school. Because of this unique system, IHSA members typically ride unfamiliar horses. Competitors are still judged, however, on their riding position and communication with their borrowed horse. Within the IHS, schools are divided into Zones and Regions. Tulane is in Zone 5, which stretches from west Texas to South Carolina. Within that zone, Tulane is in Region 4, which encompasses schools in Louisiana, east Texas and Mississippi. Last weekend, a few of the team’s competitive members qualified to participate in the Zone 5 finals last weekend. Because the event hosts dozens of schools across several states, making it to this competition is no small feat. 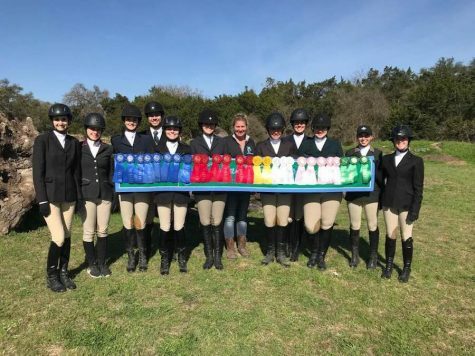 The Tulane equestrian team shows off their accomplishments from this season. Senior Sarah Brown had a stellar performance, placing fifth in the Individual Intermediate Fences. Mannina and senior Anna North also had a successful day, placing sixth and seventh in the Individual Open Flat respectively. Sophomore Quin Plischke rounded out the team’s performance with a ninth place finish in the Individual Intermediate Flat. Despite these solid showings, none of the team’s members will advance to the ISHA national competition. As the team looks towards their next year, Mannina encouraged anyone interested to check out this sport.